Wow this is exciting! 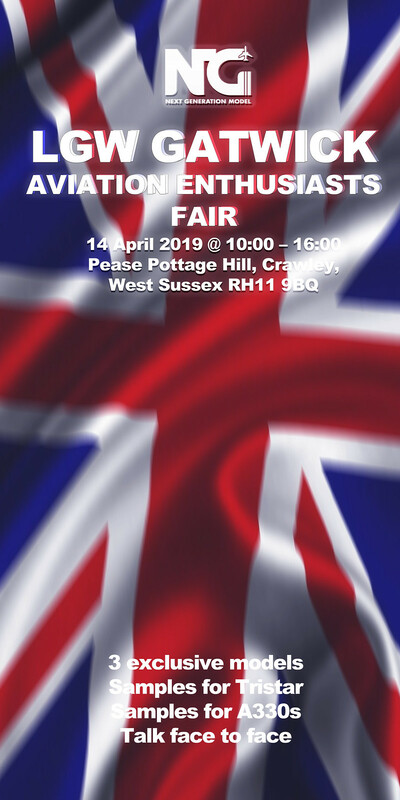 Looking forward to the event this year, should be a good one! 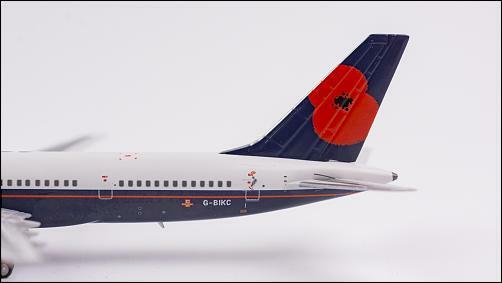 G-BIKC British Airways Landor "Pause to Remember"
G-BIKF British Airways Landor "The Worlds Biggest Offer"
G-BIKU British Airways Landor "Fly New Club World"
Limited to 100 pieces per model and comes with a limited numbered card. 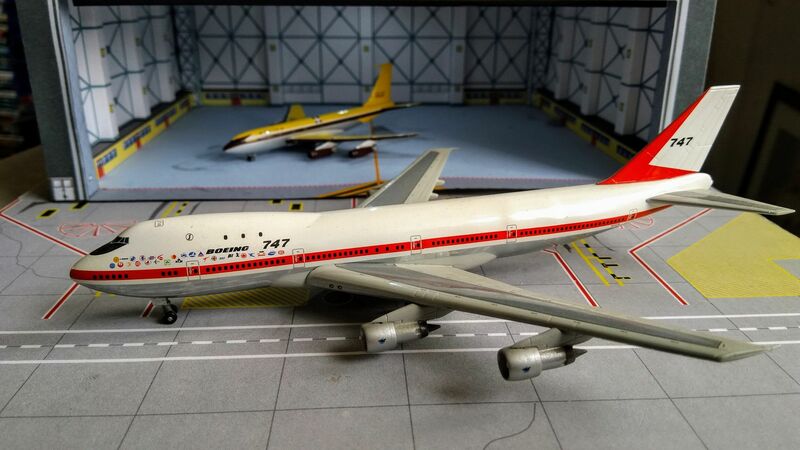 The sample models of the L1011 (three variants) and A330 (two variants) will be available for review and comment. Last edited by BA2936; 04-12-2019 at 10:53 AM. 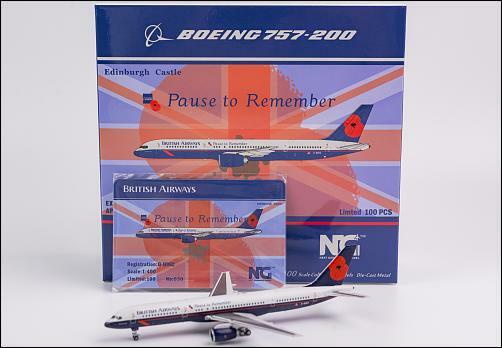 BA2936 - would it be possible to hold back a copy of each of those Landor 757 variants for me to collect on the day? No problems, just pm'd you! 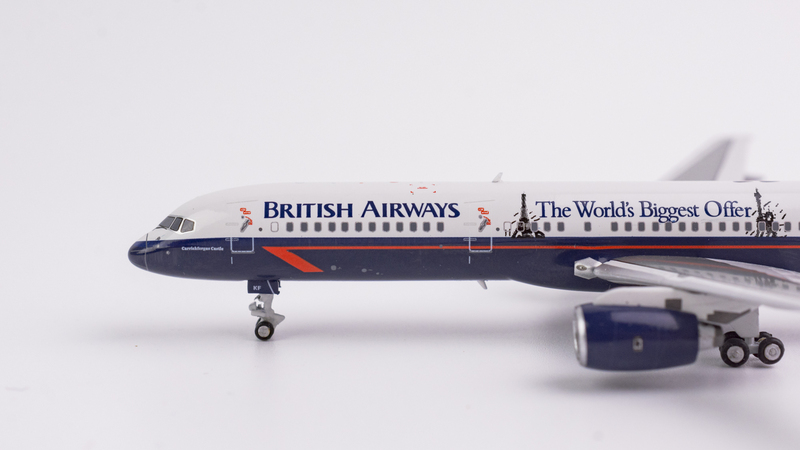 They're ace, look fantastic, just not going to able to get to LGW this year, as I'm working nights. Any chance of these being at Kempton in a few weeks? Looking forward to grabbing one of each of these on Sunday!! 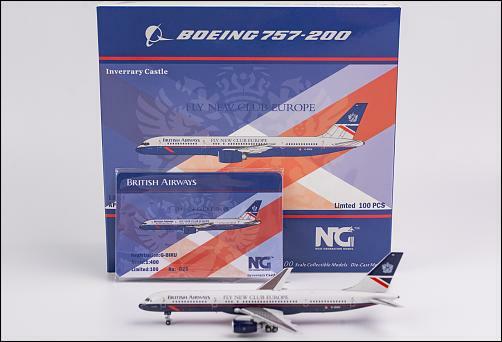 Great to see all the excitment over NG's latest offerings. 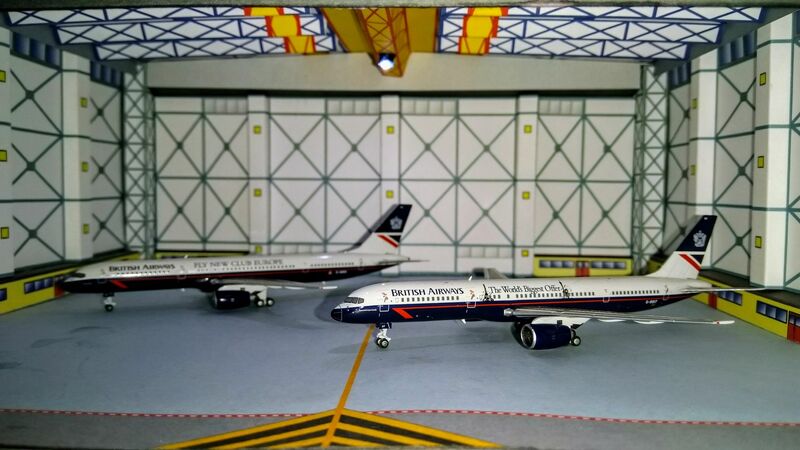 Those 757s look great! I'll be hanging on for those TriStars myself, it will be very interesting to see those samples on the day. And of course Kempton is coming up as well! Great Job! 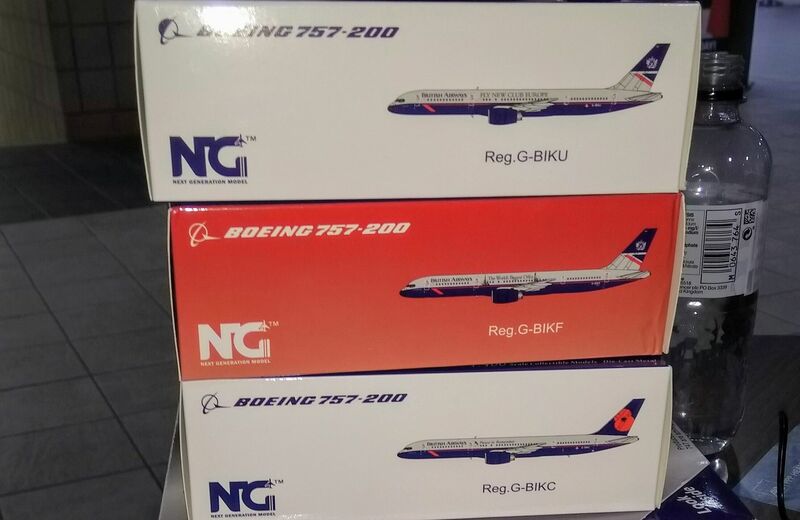 NG Models. Keep up with the wonderful work you're doing!!!! You just have to buy the set no doubt! Beautiful job NG! Will these be supplied to retailers after the convention? 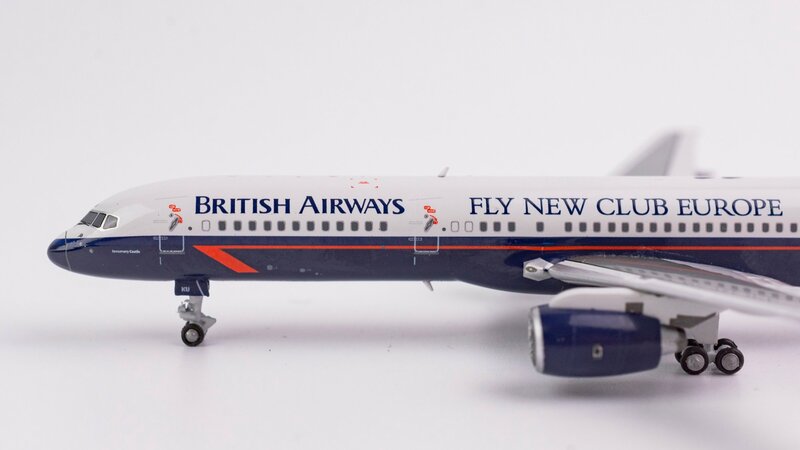 I believe so, as after the Heathrow show, but not sure which retailers, I'll leave for NG Model to confirm. You may ask your dealers for them, However, the amount allocated to them will be very limited. Please ask them earlier. Maybe they will have some for you. BA2936: As another unable to attend Gatwick show tomorrow, is it possible to reserve one of each of the three models for collection at Kempton in a few weeks. Looks really cool. 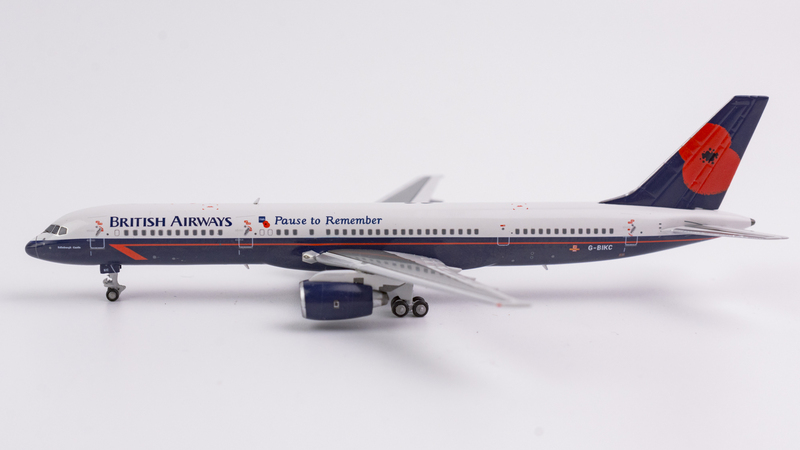 Like the "Pause to Remember." I've been up since 5am and currently sitting at Glasgow Airport awaiting the British Airways 7am departure to Gatwick aboard G-MIDO. Let the fair commence ! Thank you and many other friends for being here. 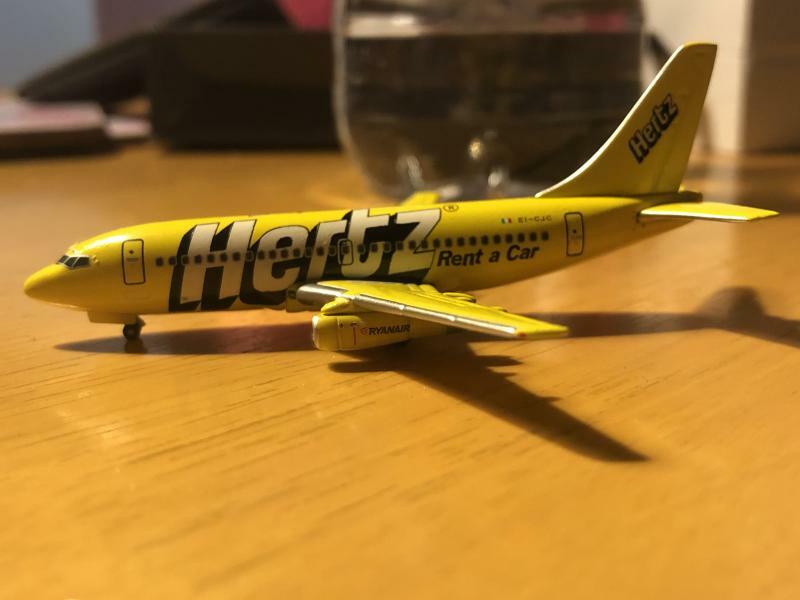 I got mine, and now enjoying a nice cold cider at LGW ahead of my return flight to GLA. Shame I couldn't make it to pick up the lovely models. Enjoy to those who did! what time did you get there Al??? I left at midday'ish as wife had to go to work. Last edited by robertjon5; 04-14-2019 at 05:47 PM. I was there first thing at 10am and left on the 1335 bus again. Picked up the set of three and nice to meet Keith and other forumites at the show. Saw you Al, just as you walking out! Will NG be producing anything special for Airliners International in Atlanta? Do you mean to make more Delta birds? Broken model on day of purchase. A good source of indigestion. Last edited by Big Al; 04-15-2019 at 04:39 PM. Last edited by Big Al; 04-15-2019 at 03:41 PM. well gutted at missing you somehow Al! 2 hours in a hall and never bumped into you!! 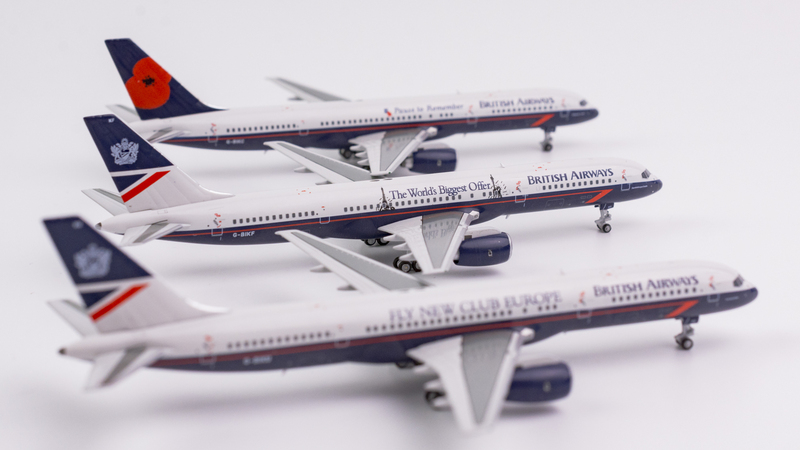 will you be at heathrow show in 3 weeks? 5th may?? No worries, if I'd any idea what you looked like I'd have sounded you out. Same goes for Adrian... And no I'm not going to be at the LHR show this time but quite possibly next time though. Gatwick is much easier for me thanks to the direct bus they lay on from the airport and more so now since my leg amputation. Nice haul there too. 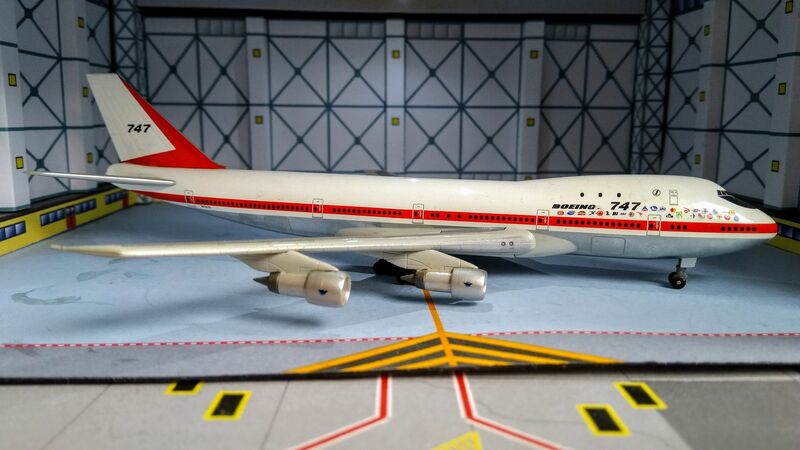 I got the Austin Powers 744 on eBay a while ago, probably paid at least double what you did too. There's always plenty of bargains to be found at the fair though. 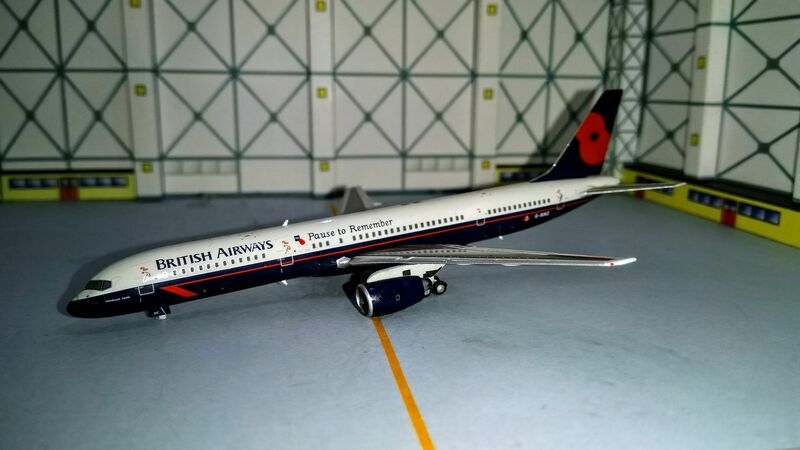 NG, do you have any intention to reshape the RB211 pylons for this engine variant? They make this beautiful engine as a whole look rather chunky... I know this is something that has been noted by collectors, but not changed. Last edited by IflyHA; 04-15-2019 at 04:31 PM. Yes NG. AI 2019 is being held at the Delta Heritage Museum with a bunch of Delta fans. No better place to roll out your Delta releases or to produce something special for the show! It is the Superbowl, World Cup, etc. of aviation collectibles! Was a great show as always, many great stands. 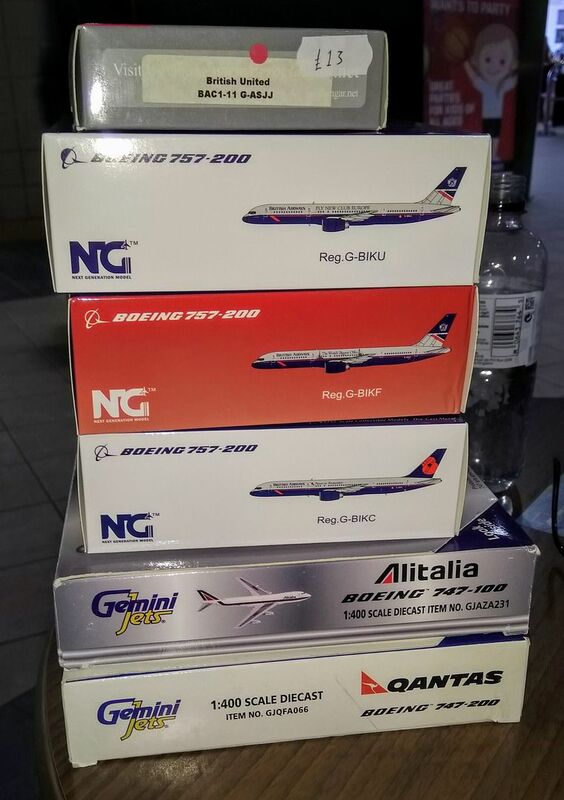 Very nice haul, guys! 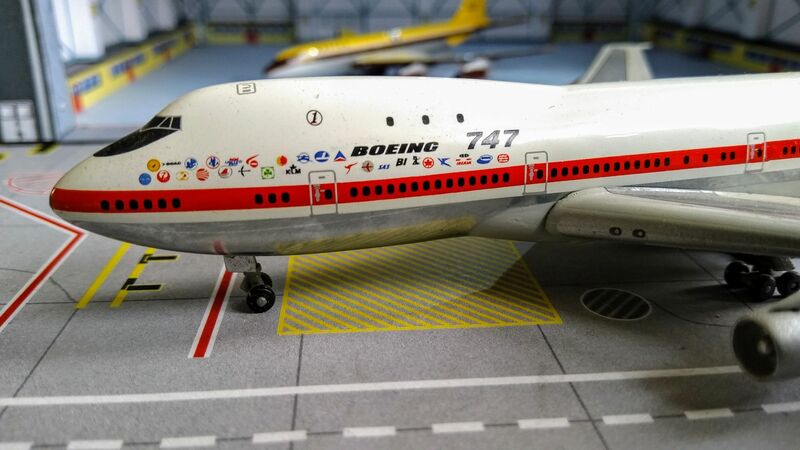 Good catches with the GJ Alitalia 741 and BB400 Virgin 744 especially. 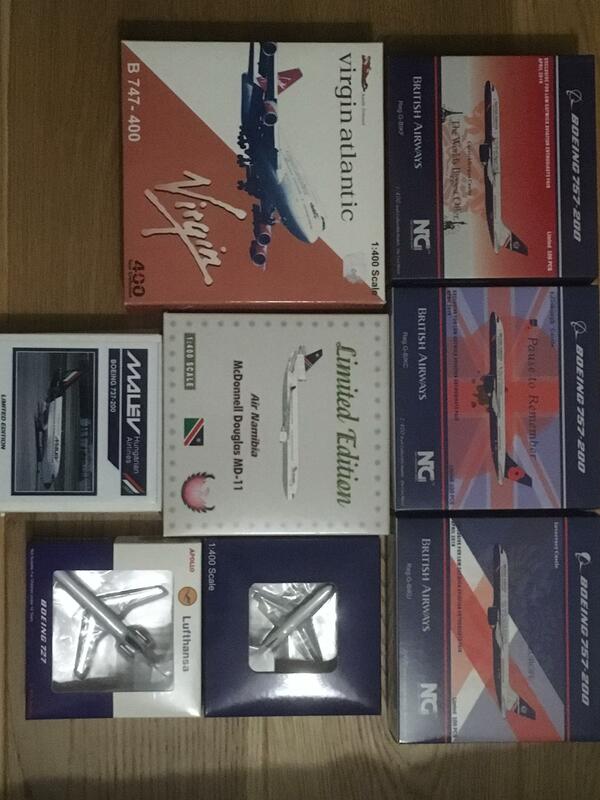 I got a few goodies as well, including a BB400 KLM 742, SMA KLM DC-9, Aurora Saul Bass 732, AV400 Ansett 722, AC Air Inter A300 and a pair of AC ANZ 732s, just £15 each. 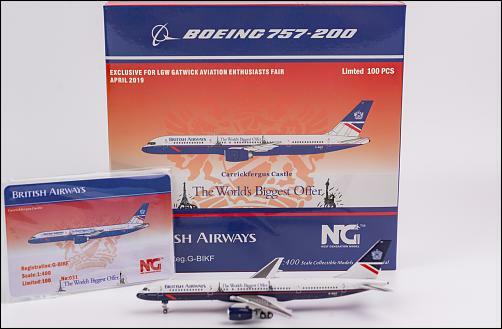 Also got the GJ scaffolding set and Landor L-1011, and the NG 757 "The World's Greatest Offer", not in my criterea but thought it would be a nice souvenir. Great bargains found at a stall outside the main hall which I nearly missed, and in turn, nearly made me miss my bus! I also got a signed copy of the book, "Heathrow In Photographs" from Adrian, lots of really good reference material in there. And, thanks again for the spare box Al! That was really kind of you to bring it along, it's come in mega handy. A really great day. Last edited by barison82; 04-15-2019 at 05:04 PM. 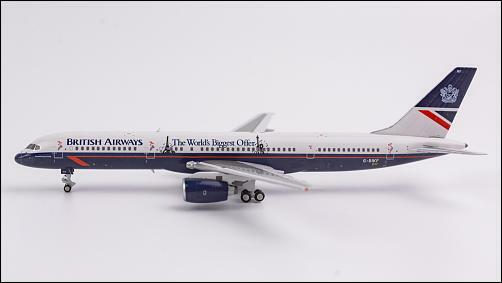 Yes please, I'd love to see more Delta aircraft! 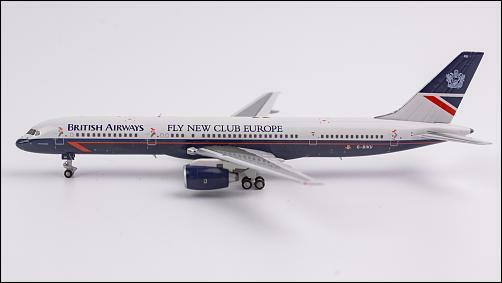 The widget 757 a while back was exceptional. I'd guess the L-1011s will be one the way soon enough, and the 757 fleet has a nice variety of subfleets/configurations, so definitely an opportunity for some current color scheme releases. My dream would be for a 75H release eventually. Don't think I'll be able to make it to AI though, so hopefully some models make their way to retailers.